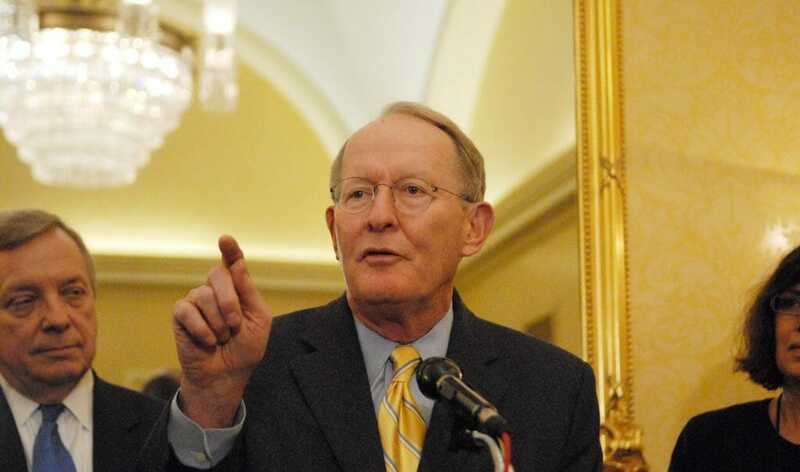 On Monday afternoon, Senate HELP Committee Chairman Lamar Alexander (R-Tenn.) took the stage at the American Enterprise Institute to lay out his plan to rewrite the Higher Education Act (HEA). While some aspects of his plan were expected given current issues in U.S. higher education, others came as a shock from the Republican senator and, if passed into law, would represent one of the most radical moves in the U.S. postsecondary system in recent memory. Among the proposed changes, Sen. Alexander suggests that if a borrower does not pay back their federal student loans within 20 years, the remaining balance should be forgiven without it affecting his or her credit score. He hopes to have the legislation introduced to the Senate by the spring and to pass it by Christmas. American learners face countless issues attending college today, but one issue stands tallest among them: the cost. American borrowers currently carry over $1.5 trillion in student debt collectively. Sen. Alexander’s planned rewrite of the HEA focuses on three areas: simplifying the FAFSA application, restructuring how Americans repay federal student loans, and expanding college accountability of their graduates. Sen. Alexander’s proposal includes new guidelines for repaying loans, but the most radical part of his proposal concerns loan forgiveness. The Tennessee senator proposed restructuring the way Americans repay their federal student loans from numerous options to just two. Whichever plan is chosen, if a borrower does not repay their loans in 20 years, Sen. Alexander proposed forgiving the remainder without it affecting his or her credit score. The first repayment option would offer those who opt in the ability to pay a monthly sum representing 10% of their discretionary income. In other words, following what the federal government calculates is needed for living expenses, people would pay 10% of what they had left. This sum would be automatically deducted from their paychecks. The other plan would involve a fixed ten year agreement similar to a mortgage. Individuals would pay their loans back with a fixed rate. For his third proposal, Sen. Alexander suggested expanding the so-called gainful employment rule that was introduced under the previous administration. Education Secretary Betsy DeVos is currently in the midst of walking the measure back, requiring institutions to report fewer metrics. Sen. Alexander, however, proposed expanding the measure to every program at every type of institution, instead of only the for-profit sector. He said that institutions should keep track of how each one of their graduates perform. What’s more, colleges should include that information in their guidance and counseling services. While much controversy has centered around campus safety and Title IX regulations recently, Sen. Alexander also expressed confidence that Congress could reach a consensus on the issue and include it in the HEA rewrite. In addition to the two measures above, Sen. Alexander expressed hope that Congress could radically simplify the federal student aid application, FAFSA. Roughly 2 million college-going Americans who qualify for Pell grants do not apply. For the application itself, there are currently 108 questions on the application, Sen. Alexander hopes he can cut it down to between 15 and 25. “Families don’t see why they should give personal information that they’ve already given to the IRS to the Department of Education,” Sen. Alexander said. To do this, the senator proposed enhanced data sharing between state and federal bodies. The measure could “eliminate the 6 billion dollars in mistakes the Treasury Department reports each year from students who are awarded either too much or too little,” Sen. Alexander said. The Senator also proposed an additional mobile app that would allow learners as young as middle schoolers to monitor and track the probable outcome of their federal student loan. It would allow college-bound kids to know just how much they can expect in aid and where the remainder could come from.